Our most comprehensive service available. With the 24/7/4h Service extended warranty, you have access to a professional technician, available within 4 hours, at any given time of any given day. 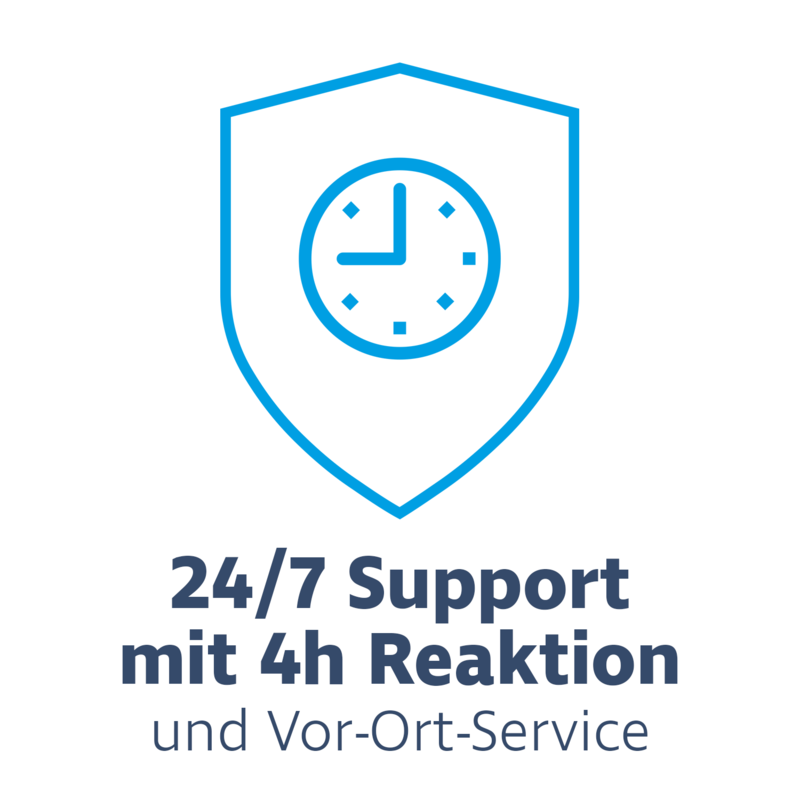 More service, more reliability – our 24/7/4h Service extended warranty provides you with high-quality maintenance and other services at no additional cost to you. You will be billed only once for the entire warranty period of 12, 24 or 36 months. Upon request, we can also agree on a warranty period that better suits your needs. Complex systems can cause complex problems. But with our 24/7/4h Service extended warranty, you can relax. With the help of our service partners, your servers will run smoothly again in no time. This extended warranty is independent of the actual value of the devices covered – thus, it is a wise choice to apply the extended warranty to particularly costly equipment. 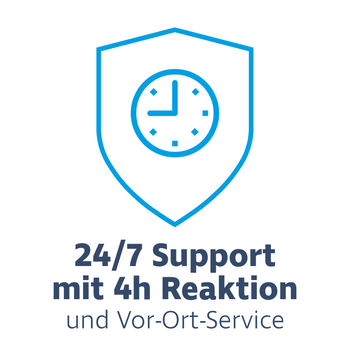 After purchasing the 24/7/4h Service extended warranty, you will receive a voucher including all relevant information for your requests: warranty number, information about the devices covered by the warranty, as well as contact information for our partners' support hotlines. They can execute a remote analysis and formulate a potential solution to the problem. If necessary, a qualified technician will be dispatched to your site arriving within 4 hours. The technician will then perform any necessary maintenance on-site and make sure that your servers are up and running again, as quickly as possible. If any parts or resources are necessary for the successful repair, these will be provided free if charge. If not stated otherwise, your custom warranty period will start three days after receipt of your order. If an individual product's description includes an extended warranty, it will have no impact on any legally required product warranties. In other words, if the product you have purchased is faulty to begin with, you can request a replacement even if you have not added an extended warranty.